Vulture’s Favorite American Idol Contestant of All Time will put his singing career on hold “to serve a full-time mission,” he announced at a Salt Lake City tour. “It’s not because someone told me I was supposed to do it and not because I no longer want to do music anymore,” he explained. 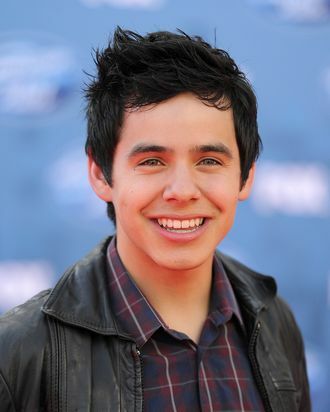 “It’s because it’s what I feel I need to do next in my life.” Vulture has always supported David Archuleta and his dreams, and we will obviously continue to do so, but this is a troubling precedent for religiously inclined celebrities. What if Tim Tebow takes two years off? What will we even talk about then?